Former Test cricketer Deepak Shodhan, the first Indian to score a memorable ton in his debut innings, died on Monday at his residence in his birth place, Ahmedabad aged 87. According to informed sources he died of cardiac arrest morning after a brief battle with lung cancer. 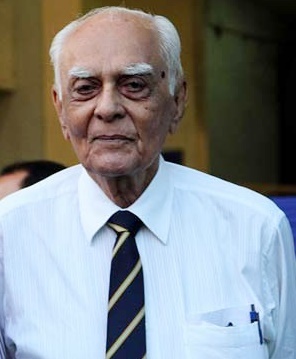 Shodhan, a left-handed batsman who could bowl medium pace, played just three Tests in all – averaging 60-plus – after rescuing India from dire straits by scoring 110 not out in his debut innings against Pakistan in the fifth and final drawn Test at Kolkata in 1952-53, the first series between the two countries after partition. He had stepped in at No 8 with India tottering at 179 for 6 in reply to Pakitan's 257 all out and he batted with Dattu Phadkar, GS Ramchand, wicketkeeper Prabir Sen and last man Ghulam Ahmed to guide the team to a 140-run lead. Shodhan, who had replaced the indisposed captain Vijay Hazare in the XI after being in the reserves, did not get a chance to bat in the second innings in the drawn game and then got picked for the tour to the West Indies, played in the opening Test at Port of Spain and made 45 and 11 low down the order, before getting injured. He missed the middle three Tests before returning to the final one at Kingston, Jamaica only to remain absent hurt in the first innings and then making 15 not out in the second which was, strangely, his last appearance in the country’s colours although he played first class cricket till 1962. In 43 first class games he scored 1802 runs, with 4 hundreds and 7 fifties, at just over 31 per innings, besides taking 73 wickets at an average of 34.05. The final rites were being held, on Monday, at Ahmedabad, the sources said.